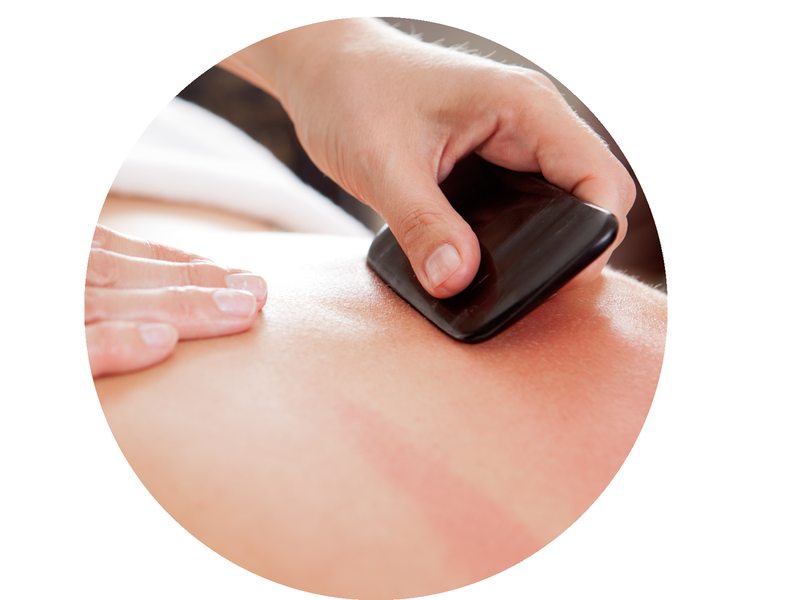 Gua sha is a scraping technique, which is used to resolve acute and chronic pain conditions, as well as colds, flu, bronchitis, and asthma. With Gua Sha, a lubricating medium is applied to a specific area, and a smooth-edged instrument is used to apply pressure in short or long strokes on the skin. This stroking motion creates ‘sha’, a raised reddish skin rash.